Located north of Barcelona in the direction of the Pyrenees mountains, Vic is an important Catalan town with a long history and a rich local culture. 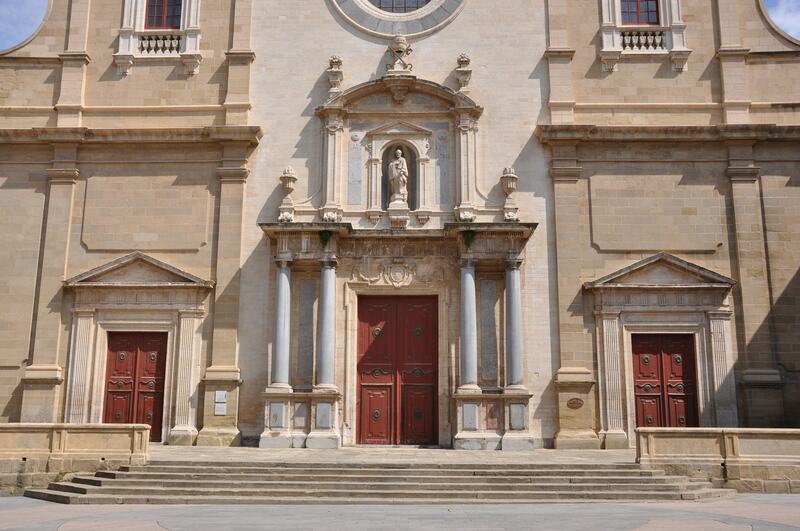 There are a number of historic monuments to be admired in the town, not least its impressive main square and town hall, but Vic is also renowned for its gastronomy, with the local cured meats considered some of the best in Catalonia. The Plaça Majos is Vic’s main square and the hub of much of the town’s activity. The square is bordered by vaulted arcades that give access to the numerous shops, cafés and restaurants that are located on the square. There are some rather notable buildings to be admired here, including the 14th-century gothic town hall building, the 14th-century Casa Cormella and the Casa Costa, a 20th-century modernist building. This cathedral was erected in the 11th century and the original romanesque crypt and bell tower from this time are still visible today. Other elements, baroque in style, were added in the 14th and 15th centuries, while much of the rest of the building was renovated in the 18th and 19th centuries and is neoclassical in style. This blending of styles makes the cathedral particularly interesting to visit. Founded in 1891, the Episcopal Museum of Vic contains an impressive collection of some 29,000 pieces of Catalan gothic and romanesque artwork. These include paintings, jewellery, textiles, archaeological remains, ironwork, glasswork and pottery. The museum was given a new home in 2002 and offers interactive tours via an app or guided tours with a local guide. One of the most memorable ways to discover the town of Vic is to take to the air for a spectacular balloon ride. The town is surrounded by the mountains of the Montseny natural park, and a balloon ride offers the chance to admire the Catalan countryside at the same time as Vic’s most famous landmarks. Located a short drive from Vic, perched on a cliff overlooking the river Ter, the Monastery of Sante Pere Casseres is an 11th-century Benedictine monastery constructed in romanesque style and open to the public today. The grounds offer scenic vistas of the surrounding countryside and are ideal for trips with children, who will particularly enjoy the grounds. Vic is famous across Catalonia for its traditional cured meats known as embutidos, including such things as fuet (a dried pork sausage flavoured with pepper and sometimes aniseed), botifarra (a raw pork sausage cooked and served as a main course) and bull negre (a cured sausage made with pork meat and pork blood, like a black pudding). There are many shops selling these cured meats across Vic and these are widely considered some of the best in the region. A visit to Vic wouldn’t be complete without the chance to sample the local fare, rich in locally cultivated produce such as Sant Pau beans and cured meats from around Vic. The restaurant Boira is a favourite among locals, as is the Celler d’en Miquel, both of which offer traditional dishes such canelons, escudella i carn d’olla (a soup with pasta and meatballs) and fideua (noodle) dishes. This remarkable Roman temple was all but forgotten until the 18th century, when the Castle of els Montcada that stood there before was demolished. It was then that workers noticed the remains of this 2nd-century temple, with a number of columns and Corinthian capitals in remarkably good condition. 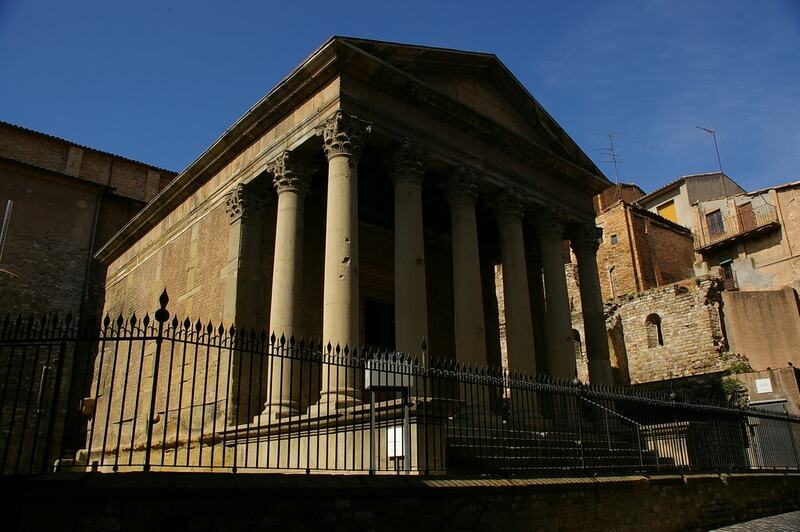 The portico was reconstructed following the discovery, using the original elements that were unearthed and based on historic reconstructions of how the temple would have looked. Once a year in December, the town of Vic leaps back in time and transforms into a veritable Medieval market town. Here you’ll be able to purchase traditional handicraft gifts and local produce such as cured meats, pulses, jams and liquors, as well as enjoy displays of traditional dance and even reenactments of the town’s history. Not as impressive, perhaps, as the Sant Pere Cathedral or the Roman Temple, the Queralt bridge is nonetheless worth a visit for those with an interest in local history. 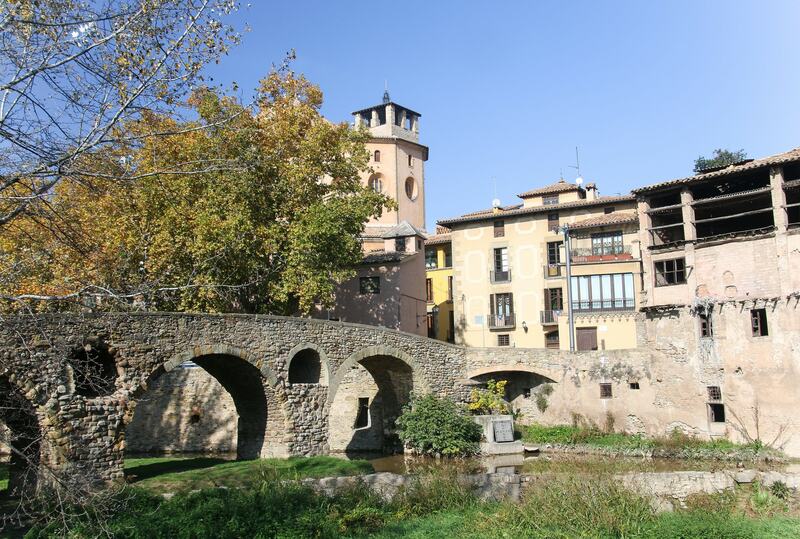 An 11th-century romanesque bridge, it was for a long time the only access to the town and stands on what was historically the road to Barcelona and one of the old Roman-era routes. The bridge was damaged in the 15th century and again during the Spanish Civil War, but it retains its original form and many features.